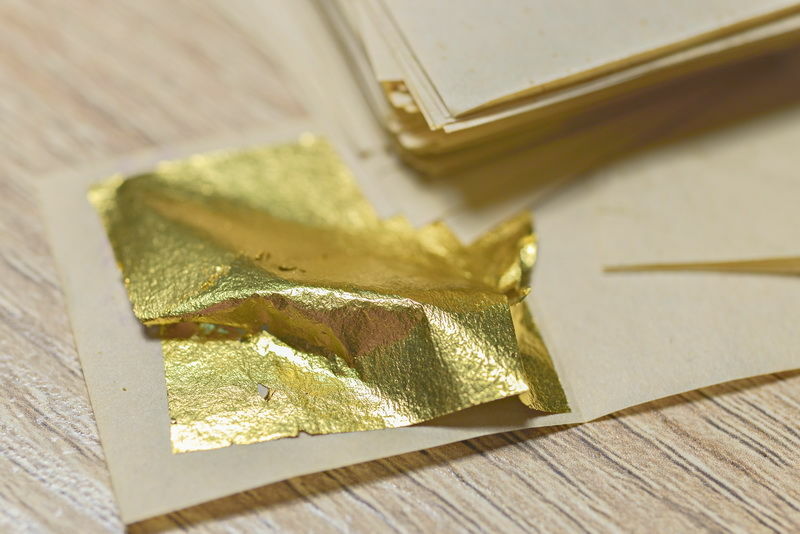 Pure gold leaf carefully applied to almost any surface you can imagine. Plaster ceiling roses, plaster corbels, ornate fret work, picture frames, door panel frames, metal frames, window displays the list is endless. What you can imagine in pure gold we can realise. Don't accept mere gold looking paint. Gild your surface with real 24 carat gold. Nothing is finer nor more opulent. Driveway gate and fence spear heads in fact all surfaces gilded in gold will last a life time unlike gold paint. Any commission considered either off site or on.